We have some more information, on Samsung’s new Android tablet, the Samsung Galaxy Tab. 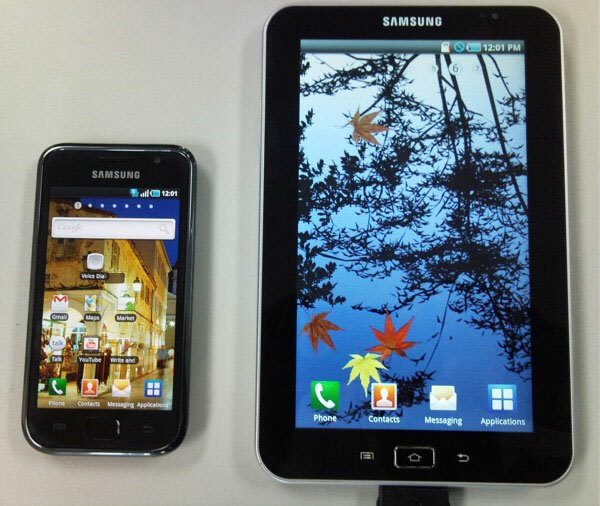 It looks like the Galaxy Tab will come with the latest version of Google Android, Android 2.2 (Froyo). Something else which has been revealed is that it looks like the Samsung Galaxy Tab will feature a 1.2GHz A8 processor, which would make it faster than the Apple iPad. It looks like it will come with 16GB of built in storage which can be increased to 32GB via a microSD card slot, plus it looks like the display will be a Super AMOLED display. We have heard previously that the Samsung Galaxy Tab would come in a total of three different sizes, a 7 inch version, an 8 inch version and a 10 inch version. From the specifications, this looks like it could be the most exciting Android tablet we have seen to date, who knows it may be able to give the iPad a run for its money.